Bipartisan bill in congress would require resolution for Jewish refugees from Arab countries in any future Arab-Israeli peace deal. A bipartisan coalition of 14 congressional lawmakers have cosponsored a bill intended to rectify the losses suffered by Jewish refugees who fled their homes across the Middle East following the establishment of the State of Israel. The President would be required to include provisions for Jewish Middle East refugees in any future Arab-Israeli negotiated settlement. A joint statement released by the bill’s sponsors recognized the hardships faced by the ancient Jewish communities across the Middle East and North Africa, and the oppression they suffered under local Arab governments. Close to one million Jews were forced to leave their homes across the Middle East and North Africa following the establishment of Israel in 1948. More than 600,000 settled in Israel, where they and their descendants now make up a majority of Israel’s Jewish population. In most cases, Jewish refugees lost their homes and valuables as they were forced out, and have since been largely unable to either receive compensation or reclaim their property. 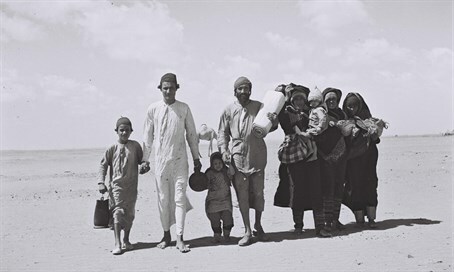 While Arabs who fled Israel in 1948 have received widespread international recognition, the plight of Jewish refugees from Arab countries is largely unknown outside of Israel.